Agile methodology switches the focus to customer over process. HR exists, not to create standard processes but rather to enhance employee engagement and product delivery. Incorporating an element of agility into the HR function allows it to be nimbler and helps create an organizational culture that’s more responsive to the needs of customers. 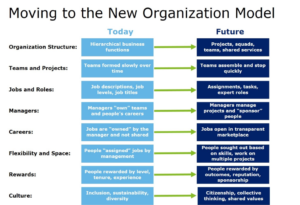 An agile organization is one that’s able to change direction quickly and easily, and HR needs to be responsive to the ever-changing needs of such an organization. 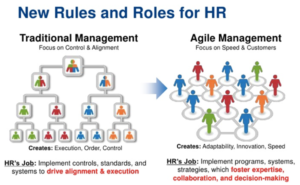 At first glance, the concept of agile HR would seem to contradict the whole notion of strategic HR. After all, isn’t strategy about looking at the bigger picture and the longer term, as opposed to being reactive and working on incremental changes? From that perspective, agile HR sounds like it might not fit in with the desire to make HR more strategic. However, an important aspect of strategic HR is understanding and being responsive to the needs of the business. An agile approach takes HR to a whole new level of responsiveness. Josh Bersin of Deloit’s model demonstrates HR as the architect of employee experience with a goal of increasing engagement. This design thinking method puts the real customers, the employees, at the forefront. So How do you turn the keys on Agile HR? Team design – move from functional hierarchies to small agile teams or ‘squads’ as ING called them, centered around a business or product rather than a function. This allows collaboration to rule, rather than hierarchy or divisional silos. With a small team you can make more speed. Mobilize talent as and when a project needs them in a transparent marketplace, assess talent gaps, anticipate risks and work on succession planning. Stimulate knowledge sharing and collaboration. Work design – cut out lengthy approval processes and make decisions faster. In recruiting the candidate’s experience with your employment brand is everything. Act fast and seamlessly. Make the most of technology, project focused tools become critical to success – managing, measuring and optimizing teams are the KPIs for the new structure. Set up tools for project communication and collaboration such as Slack. Grow and develop people in networks. Development opportunities need to be integrated into daily functions. Encourage industry networking and support learning of work and unrelated work interests. Find a way to give frequent, regular feedback. We know about someone’s performance in real time, but not over time, as next month they might be on another project or another team entirely. Rethink your compensation strategy. 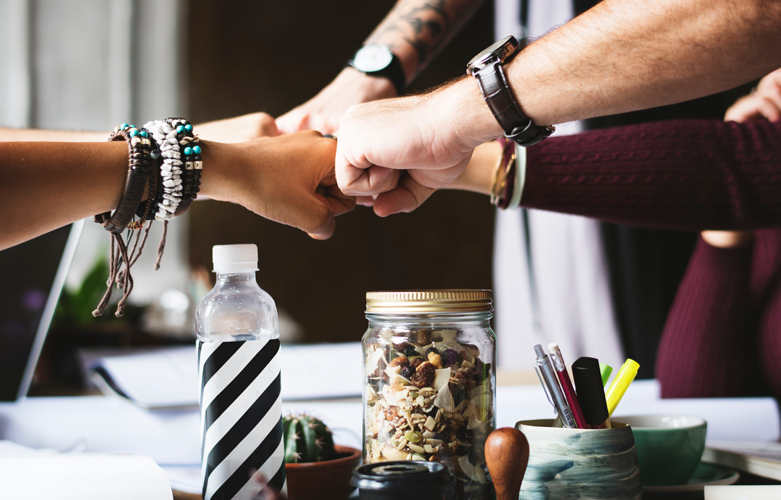 The movement to a project based (or gig) economy, means teams assemble and stop quickly, people are sought out based on skills and rewarded for collaboration and knowledge sharing, rather than the traditional time served, power or status. Bring feedback processes in-house. With feedback platforms like CultureAmp, you can focus attention on taking action where it will have impact and then re-measure to check how the changes are landing. Think employee experience surveys for each milestone, candidate, onboarding and exit. Or employee effectiveness surveys, action-orientated 180° and 360° feedback for managers, individuals and teams. To learn more about designing your organization’s human resources functions into an agile one, contact the experts at Peoplescape Consulting Group.